Probiotics. 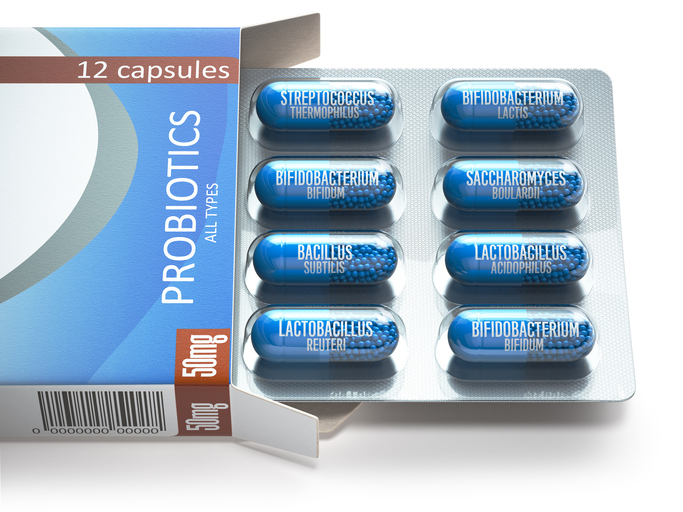 Blister box with all types of probiotics capsules. Pills with bifidobacterium, lactobacillus, sacchaomyces and othes bacillus.